WE FOCUS ON SPEED, SERVICE AND SAFETY. 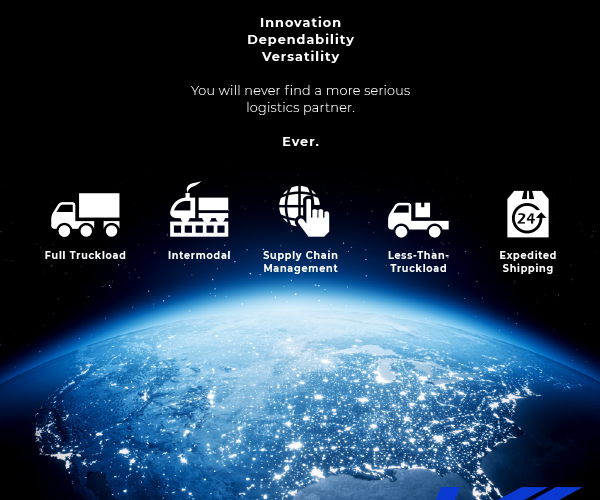 To Volta Logistics, your business is more than an account. It’s not just another load for us. Our analysts and representatives are devoted to the logistical health of your company. We work tirelessly, focused on you, to bring intelligent and appropriate shipping solutions. This industry deserved better service. Volta Logistics was born. The quality of the relationship directly correlates to the quality of the business. We rely on steadfast personal communication to ease stress and foster confidence from our shippers and carriers. This approach has secured competitive pricing across the United States and Canada, allowing us to deliver answers to complex shipping problems and service our customers’ needs wherever they need it. Creating an environment that facilitates fast and frictionless growth requires a technology infrastructure with the same principles. Volta Logistics relies day-to-day on a transportation management system built for growth. DAT® is our powerhouse technology partner who has helped us build a scalable, limitless and fluid business model. We have the capacity to be your primary carrier. Our network of drivers is best in business. Through our fixed price services, we strive to honor static pricing without volume commitments. Practical solutions, clear pricing and dedicated service mean your project is our project. We offer spot and surge pricing to keep your supply chain moving even during unpredictable times. For those that needed it yesterday, our rapid expedited shipping is available. Time sensitive shipments can be readily handled through our team drivers. We work with government services to deliver confidential and sensitive freight. We offer safe and fully compliant movement for delicate freight from packaging to transport.